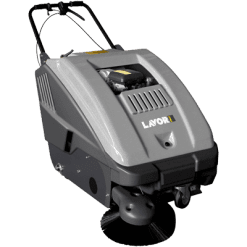 The SWL900ET SWEEPER is a battery powered vacuum sweeper unit which is ideal for large heavy traffic areas with dry dust or dirt needing to be picked up. The unit is a sweeper which sweeps within the bottom skirt of the unit. 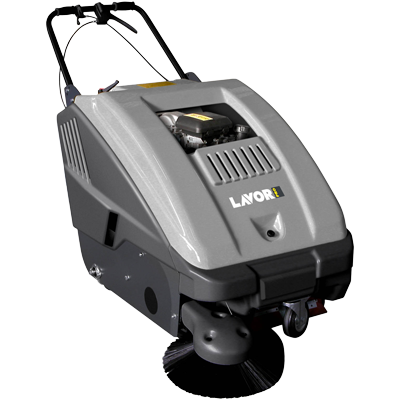 The vacuum then collects all the airborne dust within the skirt perimeters. In addition, it then expels the air out through a large cartridge filter which collects the dust. Large surface ﬁlter with electric shaker ﬁlter (ET). Side brush raising control. switch off. Filter Panel in horizontal position.